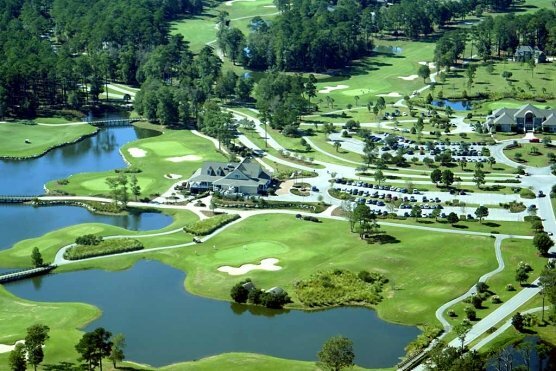 Lockwood Folly Country Club in Holden Beach, N.C. is scheduled to make many renovations to its golf course in 2016. Lockwood is considered to be one of the northern Myrtle Beach golf courses. The course was designed by renowned architect, Willard Byrd and it opened in 1988. The operators of Lockwood Folly plan to close for about two months from June 20 to mid-August and reopen with new greens and many other improvements. Lockwood Folly is a very scenic course that borders the Lockwood Folly River and marsh and offers views of the Atlantic Ocean. The old TifDwarf Bermuda grass greens will be replaced with Sunday Ultradwarf Bermuda grass. This is the same grass that Rivers Edge Golf Club in Shallotte, N.C. used during their greens renovation this past year and received great reviews. Other renovations that are scheduled include bunker improvements, the leveling of some tee boxes and the clearing of some trees to open the course up for playability and agronomic reasons. Lockwood Folly is a semi-private course that welcomes open play but is owned by its members. The course accepts package play from many of the Myrtle Beach golf package companies. The club is also building a new clubhouse that will be two stories with patios and verandas that will overlook the Lockwood Folly River and Intracoastal Waterway. It will include a bar and full-service restaurant with dinner service and Sunday brunch for both members and visitors.